The 8th April 2017. Pencil (5:15 Aintree) on your calendar. Get ready for the most spectacular steeplechase in the world. I wonder which horse you fancy to win this year's Grand National. Perhaps you have your eye on the favourite. Take a look at the complete guide to the Grand National horse racing festival. This famous National Hunt race was inaugurated in 1839 when a horse named Lottery won at 5/1f. Horses race over 4 miles and 514 yards, two gruelling circuits, 30 fences. It's a tough, hard-as-nails race, for horse and jockey. If you ask someone to name a horse race they would probably say the Grand National. If I asked you to name a winner of this prestigious race what would you say? Outstanding horses have won the Grand National. At times it hasn't been the best horse in the field. A little bit of luck can go a long way in a race of changing fortunes. Which horse has the best chance of winning? It must be the favourite! Did you know that the shortest priced winner of the Grand National came in 1919 when Poethlyn won at 11/4f? Many punters love to bet favourites. In fact, the vast majority of the money bet on every race goes on the first and second favourite. How do the favourites go in the Grand National? Let's take a look at the results since 1994. How many favourites have won? Just 5, and two of those were joint favourites. It's startling to consider the previous winning favourite came in 1982 when Grittar prevailed for trainer Frank Gilman. The winning favourite before this was the imperious Red Rum in 1973, his first Grand National victory for the legendary trainer Ginger McCain. Previous to that, Merryman II won for Neville Crump. Can you guess the year? Just eight favourites have won since 1959. Perhaps it's time to reconsider betting on the favourite. Five horses have confounded the bookies winning at odds of 100-1. 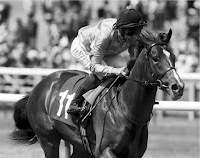 The last being Mon Mome in 2009. In fact, the last six years has seen winners returned at big odds. Is it any wonder bookmakers don't mind you betting on the favourite? In the last 70-years, just nine favourites or joint-favourites have won. Worse still, 37 have failed to complete the course. 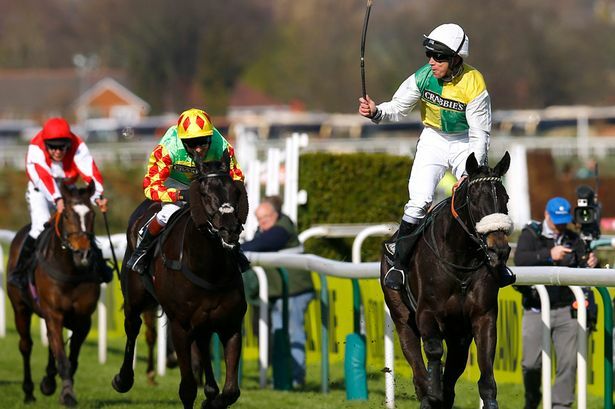 The Grand National has £1000,000 in total prize money, while the winner picks up £561,300. This most famous steeplechase turns horses into legends. The three-times winner Red Rum (1973, 1974 & 1977) passed away in 1995 but his memory, victory, the story will live long in the hearts of all who love their racing. Time will tell who wins this year. I wonder if it will be the favourite.